Staetite Fasteners offers a comprehensive range of standard products to the Automotive, Electrical and Commercial fastener Markets. 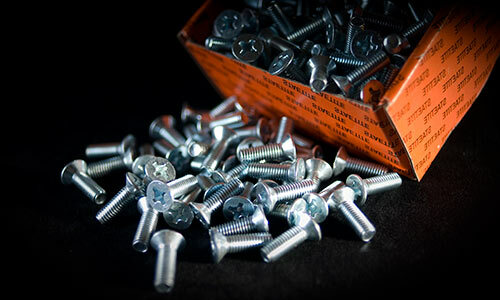 Our standard range of fasteners consists of Self tapping screws, metal thread screws and roofing bolts and nuts all zinc plated. In addition, we also stock a large range of hexagon bolts, nuts and screws, both Metric and Imperial, property class 4.6 (other grades available on request) all zinc plated. Alternate finish products are also listed within our product catalogue. Get all the latest information on Products, Sales and Events. Sign up for our newsletter today. Copyright ©2016 Staetite Fasteners. All Rights Reserved.